Because everyone deserves access to locally grown, quality food. 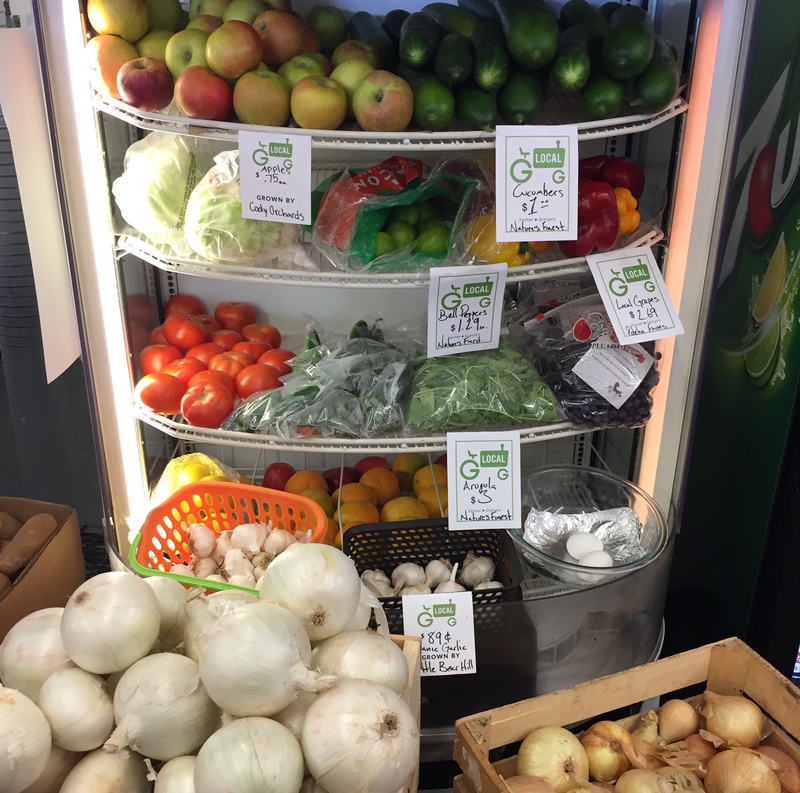 Gorge Grown is partnering with Corner Stores to stock local, fresh fruit and vegetables from nearby farms and the Wahtonka Community School Garden. Wasco and Sherman Counties has a high rate of food insecurity, childhood obesity, and poverty. Participating stores, Huskey’s 97 Market in Moro, and La Michoacana and Allen’s Food Center in The Dalles are located near schools in low-income ‘food deserts’ where residents have little access to healthy food. Support for this project comes from the OHSU Knight Cancer Institute Community Partnerships Program, which is designed to build sustainable collaborations with Oregon communities by providing grants and other resources to foster development of community-identified cancer prevention, early detection, treatment and survivorship projects. The OHSU Knight Cancer Institute has made a decade-long commitment to invent in this program to develop robust sustainable programs that benefit the health of all Oregonians. Additional information is available on the OHSU Knight Cancer Institute’s website.